If you want to further research the role of a clinical psychologist then it is highly recommended that you read So, You Want to Be a Forensic Psychologist? Forensic Psychology is a fascinating area of applied psychology. It is a phenomenally important field of study which has influenced and caused significant changes in the legal system. Research into memory has shown that eyewitness testimony is not wholly accurate and is not to be used as evidence on its own, for example: (Loftus et al., 1974, Loftus et al., 1987, Penrod and Cutler, 1995). Further examples of forensic fields of study include studying the reasons for turning to crime, how best to interview witnesses and suspects, what can cause false confessions and how to prevent them, and the psychology of the courtroom. Perhaps one of the most interesting areas of study within forensic psychology is studying how criminals think and how best to track and catch them by studying the patterns of their crimes, for example: (Hazelwood & Douglas, 1980, Canter et al., 2004, Canter & Heritage, 1990, Yochelson & Samenow, 1976). If you want to further research the role of a clinical psychologist then it is highly recommended that you read Educational Psychology Casework, Second Edition: A Practice Guide . Educational Psychology is an extremely important area of applied psychology. One of the reasons that the education system today is so vastly different from the past is because of the work of educational psychologists. Educational psychologist have the opportunity to change the face of tomorrow by improving the education system, which is a fundamental part of civilised society. This is a competitive area of psychology, but it can be highly rewarding. If you want to further research the role of a clinical psychologist then it is highly recommended that you read Sport and Exercise Psychology: A Critical Introduction . A career in Sport and Exercise Psychology can be one of the most rewarding jobs and can lead to you travelling a great deal. The England football team took numerous sports psychologists to Brazil for the world cup. 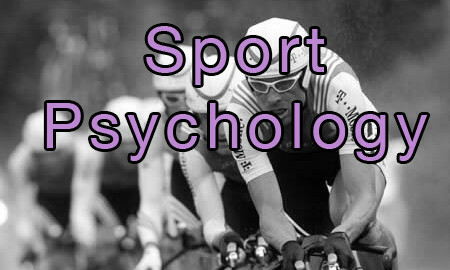 In fact, if you look at any major sporting event, you will find that sports psychologists are there often employed by competitors in order to help them gain an edge. One thing is clear, if you are looking into a career in sports psychology, then you will have to like both sport and psychology!